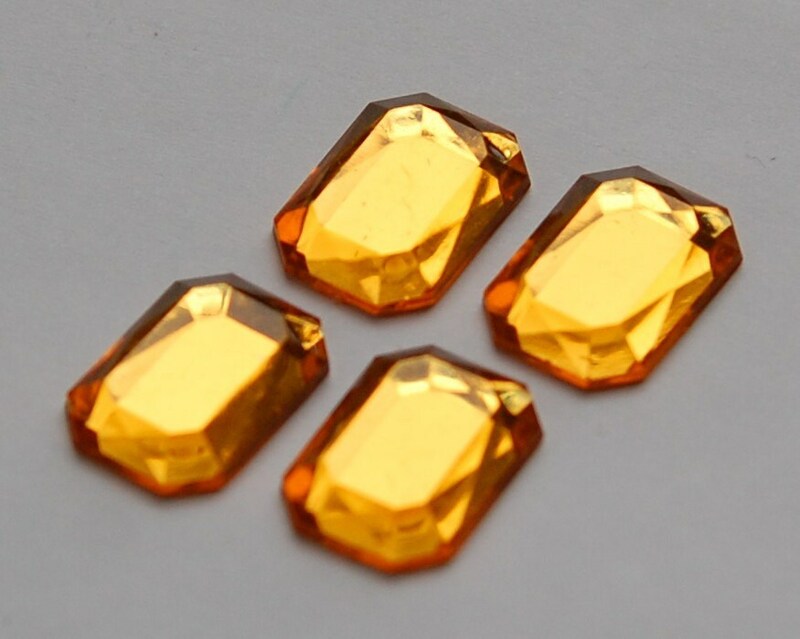 These are vintage faceted acrylic cabochons. They are flat back with foil and a faceted top. These are a topaz color. They measure 18mm x 13mm. You will receive 4 pieces. Nice cabs! Thanks so much! Excellent item! Thank you very much!